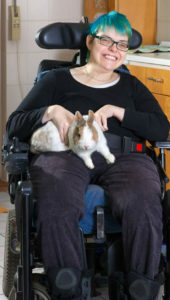 A Special Needs Trust creates a legal arrangement and fiduciary relationship that allows a physically or mentally disabled or chronically ill person to set aside funds for health and maintenance without reducing their eligibility for the public assistance disability benefits provided by Social Security, Supplemental Security Income, Medicare or Medicaid. This Trust is designed to cover that portion of a person’s financial needs that are not covered by public assistance payments. The assets held in the trust do not count for the purposes of qualifying for public assistance. Assets originally belonging to the disabled individual that are placed into the trust may be subject to Medicaid’s repayment rules, but assets provided by third parties such as parents are not. When a third party puts money in a special needs trust, it is ensured that the money will be used for its intended purpose. For example, parents might put assets in a special needs trust to provide for their disabled daughter without affecting her Medicaid eligibility. 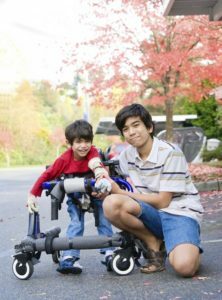 Special needs trusts are irrevocable, and their assets cannot be seized by creditors or by the winner of a lawsuit. As with all trusts and legal documents, this type of trust must be properly worded to ensure its validity.